• Physical Inactivity could lead to increased risk of musculoskeletal injuries, arthritis, heart disease, etc. • Exercise boosts your energy, immune system, improves mood, sleep and controls diabetes, arthritis, etc. Regular exercise and its benefits are hard to ignore. 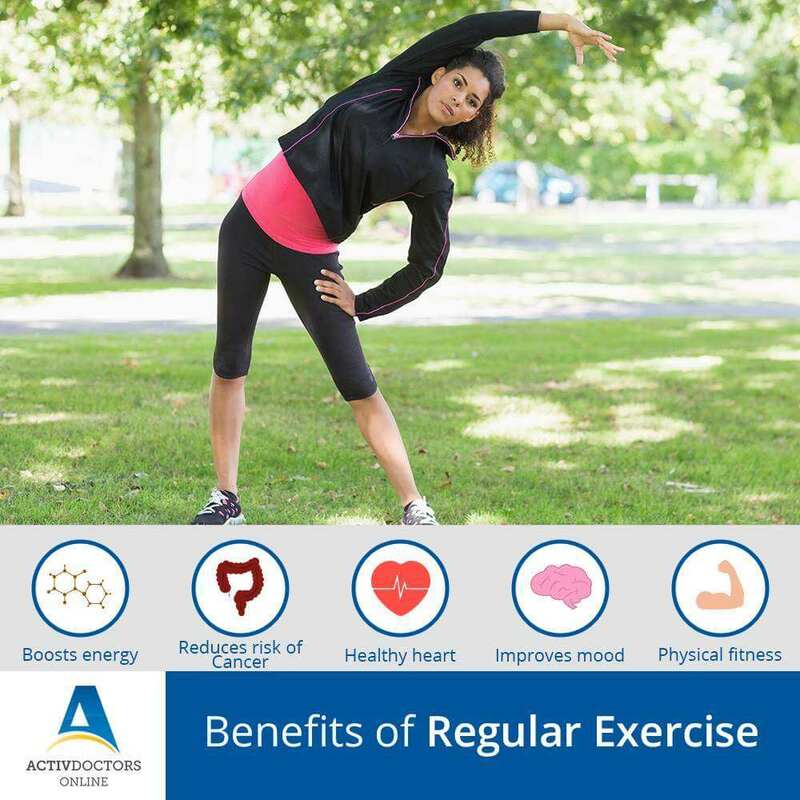 The benefits of regular exercise vary from health benefits, psychological benefit and physical benefits. Along with the maintenance of normal body weight, exercise also helps you to boost your brain functioning. As risks of physical activity are very low compared to the health benefits of exercise, most adults therefore do not need medical consultations or pre-testing prior to a moderate-intensity exercise program. However, people over the age of 40, those at the risk of cardiovascular diseases and obese individuals are advised to undergo a medical consultation prior to starting an exercise program.